These would be the Indoor Pools in California other users have reported. Are you a local and your pool just isn't listed? Contact us to ADD IT. It is free! Water sports are escalating specifically in elderly population sectors who have suffered some sort of muscle or bone damage. Swimia.com desires your feedback to ensure all the information is valid, due to the fact maybe this pool is no longer open to the public. There are typically discounts obtainable to senior citizen and small children. Find out by contacting your nearest pool in California. Most in the Swimming Pools present both open lanes for independent swimming and also guided activities like water aerobics or aquabike. 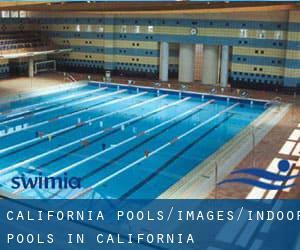 Swimia.com has essentially the most up-to-date database about Indoor Pools in California. Without a shadow of a doubt, swimming in San Diego is the finest strategy to unwind right after work. 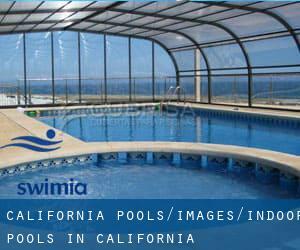 Take a couple of minutes to browse Swimia's catalog to find a Pool in San Diego. Holding an estimated population of 3.792.621, Los Angeles is among the most important cities in California. Check all the Swimming Pool in Los Angeles and its surrounding area. Let us let you know a secret to switch off while you are in San Francisco: just decide on a Swimming Pool in San Francisco and plunge into the water! There's no even more productive strategy. Swimming is really a excellent idea to keep your body active during your visit to Sacramento (California), or even for anyone who is a local. Swimia helps you to discover your closest Swimming Pool in Sacramento. It's difficult to visit California devoid of dropping by Fresno (with 494.665 residents). Currently Swimia is showing you all of the Swimming Pool in Fresno as well as the closest pools located in its vicinity. Updated on 2019 301 S. Bandini St. , San Pedro , CA , USA (Postal Code: 90731). This sports center offers 25 yards x 45 feet, 6 lanes, Indoors. For this Swimming Pool, only phone number is number here. Updated on 2019 131 Westmoor Ave. , Daly City , CA , USA (Postal Code: 94015). This sports center provides 25 yards x 25 meters, 11 lanes, Indoors. Contact knowledge for this Pool for example phone number and e-mail address are number. Updated on 2019 1000 W. Artesia Blvd. , Gardena , CA , USA (Postal Code: 90247). Swimmers like you reported 25 meters, Indoors. Unfortunately we do not have the email address of this Pool, but we can give you the phone number. Updated on 2019 1803 Sunset Ave. , Madera , CA , USA (Postal Code: 93637). This sports center offers 25 yards x 45 feet, 5 lanes, Indoors. For this Swimming Pool, only phone number is number here. Updated on 2019 500 East Citrus Avenue , Redlands , CA , USA (Postal Code: 92373). Among all the activities offered by the center, if you are considering swimming you will take pleasure in 20 yards, 4 lanes, Indoors. If you'll want to contact this Swimming Pool, email address and phone number are both number. Updated on 2019 2250 Park Place , El Segundo , CA , USA (Postal Code: 90245). Among all the activities provided by the center, if you are interested in swimming you may take pleasure in 25 yards x 35 feet, 5 lanes, maximum depth 4 feet, Indoors. Just in case you would like to make contact with this Swimming Pool just before dropping by, we only know the phone number. Updated on 2019 680 E. Cotati Ave. , Cotati , CA , USA (Postal Code: 94931). This sports center offers 20 yards, Indoors. For this Swimming Pool, only phone number is number here. Updated on 2019 2900 Sepulveda Blvd. , Torrance , CA , USA (Postal Code: 90505). Swimmers like you reported indoors. Phone number and e-mail address are number for this Swimming Pool. Updated on 2019 555 N. Tulip Street , Escondido , CA , USA (Postal Code: 92025). This sports center offers 25 meters, 4.5f maximum depth, Indoors. For this Swimming Pool, only phone number is number here. Updated on 2019 525 Bellevue Ave. , Oakland , CA , USA (Postal Code: 94610). Swimmers like you reported 25 yards x 9 yards, 4 lanes, Indoors. Phone number and e-mail address are number for this Pool. Updated on 2019 3156 Sports Arena Blvd. , San Diego , CA , USA (Postal Code: 92110). This sports center gives 20 meters, 4 lanes, Indoors. Contact details for this Pool just like phone number and email address are number. Updated on 2019 3115 Ocean Front Walk , Belmont Park , Mission Beach , San Diego , CA , USA (Postal Code: 92109). Among all of the activities supplied by the center, for anyone who is enthusiastic about swimming you are going to enjoy 20 yards x 174 feet, 8 lanes, Indoors. Just in case you want to contact this Swimming Pool before dropping by, we only know the phone number. Updated on 2019 3001 Dover Ave. , Fairfield , CA , USA (Postal Code: 94533). This sports center offers 25 yards x 30 feet, 5 lanes, Indoors. For this Pool, only phone number is number here. Updated on 2019 8015 S. Sepulveda Blvd. , Westchester , Los Angeles , CA , USA (Postal Code: 90045). Swimmers like you reported 25 yards x 30 feet, 5 lanes, Indoors. Unfortunately we do not have the e-mail address of this Swimming Pool, but we can provide you with the phone number.